Oh my goodness! It’s the end of the series! We made it! Creating for 12 days straight was pretty intense. But I can honestly say, whenever I push myself like that, I end up with some pretty cool stuff! Click any of the thumbnails above to see the latest! And click HERE for my full home tour. 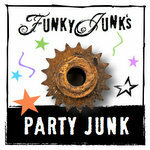 Party Junk (a regular weekend link party) will be on the bottom of this weekend’s event, in the last two widgets. They are shortened into pages just for this weekend to make viewing hopefully easier. But the star of the show today is your Christmas Junk! You saw mine for the last 12 days and today it’s your turn. This giveaway is now over. Winner is announced below! Meet Marian Parsons! Well, of course you know who she is! But in the 1/million chance you don’t, she goes by Miss Mustard Seed on her blog. 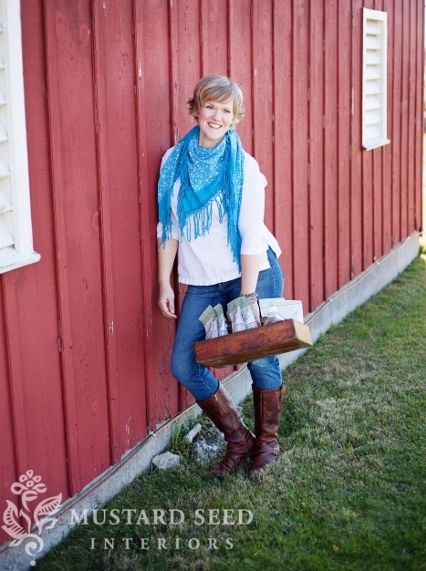 Marian has fired up her own paint line called Miss Mustard Seed’s Milk Paint. 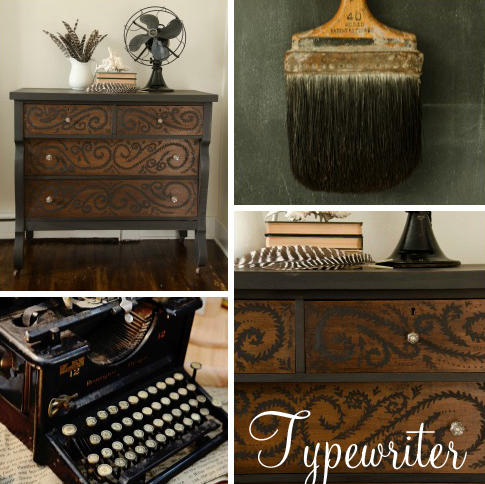 Have you ever tried milk paint before? If yes, you’re ahead of me because I haven’t! Yet. But that’s all about to change. 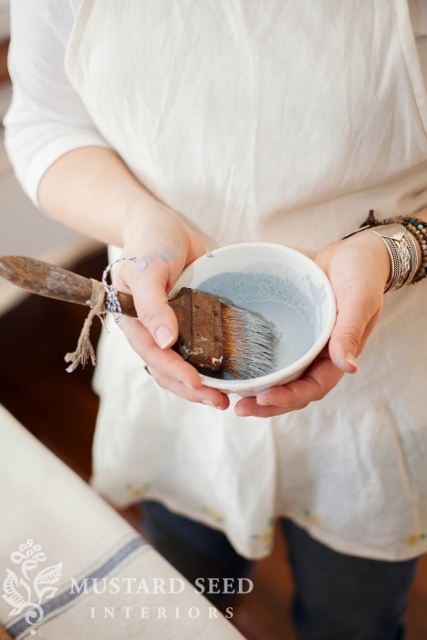 Milk paint comes in powder form, in which you just add water for the amount you wish to use. The paint doesn’t need a primer, and is rather unique in the fact that you can choose either a super chippy finish, or a new look if you add a bonding agent. Loads of colours are available and if you mix the powder, you can even create or own. Neat! Also available are specialty waxes, hemp oil, a paint mixer, and more. Click the button below to visit the website for full info! 1. Scroll down and wait for the Rafflecopter widget to load. 2. Click on the 1+ button to answer the mandatory question, then follow the other 11 optional prompts. This giveaway is offered for USA and Canada. You must be over the age of 18 to enter. Void where prohibited. 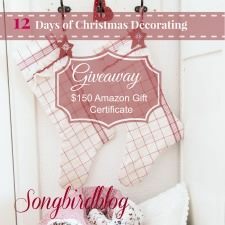 Winner will be announced back on this blog post one week from today. Disclosure: This prize was generously donated by Miss Mustardseed Milk Paint. I was not compensated. Thank-you for your generosity, Marian! I’ll be reviewing her paint in exchange very soon! Please give the widget below a moment to load. This giveaway is now over. Winner is announced in the Rafflecopter widget. 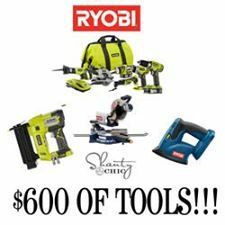 Link up your Christmas Junk! 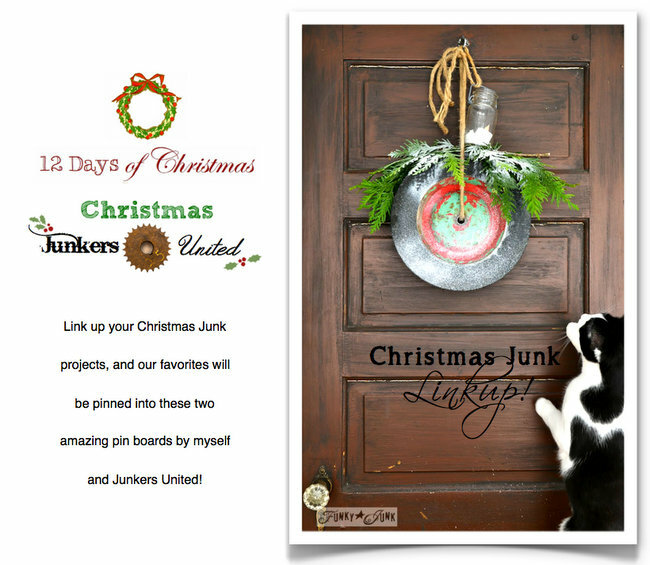 Visit the Junkers United Day 2 post HERE to check out all their projects! Thanks for the chance to win! I wanna get on this milkpaint bandwagon too as I’ve heard great things about it! My bike! Love MRS and have been wanting to try her awesome paints. Thanks for the give away. I hate auto correct. MMS. OH my… hands down my favorite present was a pair of roller skates!!! Love those!!! Thanks for the link-up and giveaway contest! I usually don’t enter them but this one is too good to pass up!! I was a little girl, maybe 7 or 8, when all the girls in my neighborhood were being gifted, Barbies, by Santa. I grew up in a neighborhood where every house had at least 2 kids, so there were lots and lots of lttle girls with Barbie. She had blonde hair, that black and white striped one piece and very expensive taste in clothes. Oh, and the best toy ever for this child of the 70s was The Disco Dance Machine. It was a gigantic record player with a microphone attached to it. Kind of like a primitive karaoke machine. The best Christmas present for me was electric curlers!! I always loved my Barbie Doll. Each year, I would get clothes or accessories for her. Once in awhile, I would get a friend to go along with her, Ken, Skipper, and my…. it’s been so long I can’t even remember if there were any others, but we are talking early 1960’s! Vintage dolls now. Barbie had tons of eye makeup and her arms and legs didn’t bend. Quite different from the Barbie dolls of today. Thanks for the chance for the Milkpaint. It looks like a fabulous medium to work with. an old rocking horse–wish i had it now:) thanks for the chance and fun party, donna! Rollerskates! All six girls in my family received a pair. They had keys that tightened them around our shoes…not so great with tennis shoes LOL! My favorite gift as a child was the doll Chatty Cathy!! I thought she was named after me! My favorite toy as a child was my little people doll house. A doll named Hi Giggles…. shaking the box she was in and hearing her giggle inside!!! Thank you so much for hosting! I have loved seeing everything you’ve done and now I get to be inspired by others. Happy Holidays! My favorite present as a child would be a long stocking cap – probably as long as I was tall. A Tiny Tears Doll I think it was 1959….. I still remember the smell of that new doll! My favorite was the game of operation. We played it all the time while visiting at my Grandmas house. Oh my..this one is easy…my Chrissy doll…I am 45 and cause my family much hilarity as I sniff new plastic things searching for my sweet Chrissy doll smell – ahhhh, 1970’s plastic!! hahaha Merry Christmas one and all! 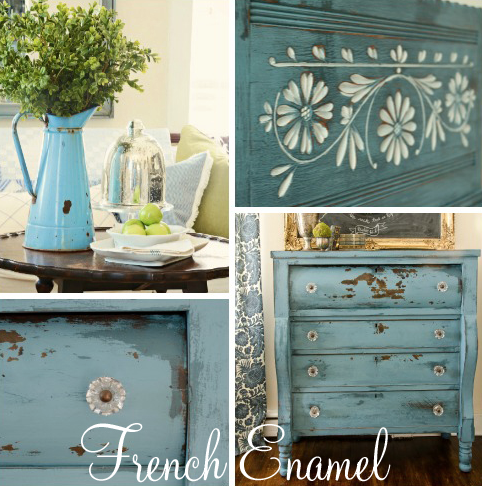 Would live to get your milk paint collection and try it !! I had several favorites, but if there was just one it was a Barbie doll! Oh my I have just the junk I would love to use that paint on! My favorite gift was a new doll….any doll…and a doll carriage. My favorite toy/present? My mom made a bunch of Barbie clothes for my dolls. She knitted tiny coats with angora collars, beautiful evening gowns out of taffeta and other silky fabrics, just the most beautiful array of clothes and I was beyond thrilled with all of them. My favorite gift as a child was anything that had to do with dolls. I loved playing house. My favorite toy any year that I recieved them,was paper dolls of every kind….my imagination went wild with stories I made up about their lives and ways that I dressed them. Favorite present…a farm set, complete with metal barn, silo, animals, fences, etc. Can you tell I was a tomboy growing up? I’d so love to win the milk paint. 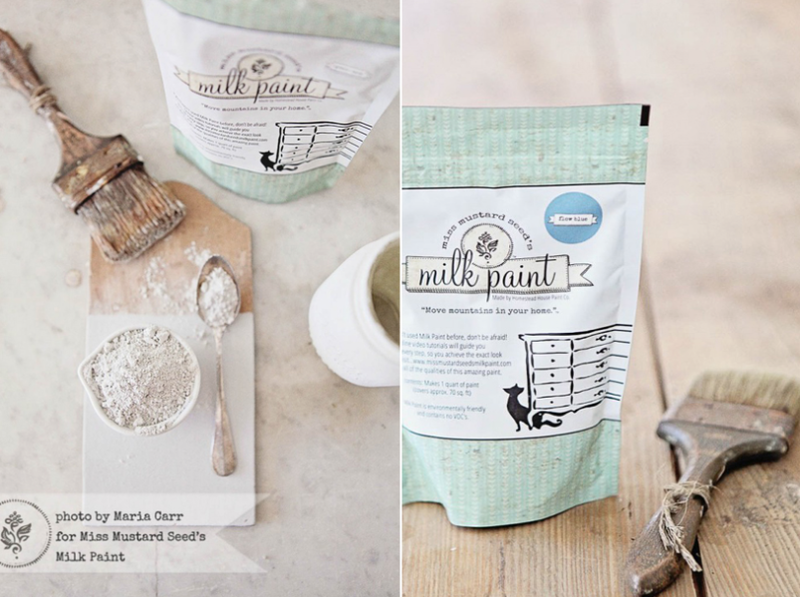 I follow Miss Mustard Seed’s blog regularly and really want to try that paint. Love your Christmas ideas, Donna! My favorite toy was a Baby Doll! I got one every year! I still love Dolls now that I am grown with kids and grand kids of my own!! My favorite toy is a teddy bear that Santa brought when I was 7 years old. I named him George. I slept with that bear until I got married! I’ve had him now for 35 years. He’s missing his nose and his mouth and has been sewn several times, but he’s still loved just as much! My parents always did a great job when it came to Christmas gifts, but I would have to say one my favorites was a doll house. I still have it and I hope that one day I have a little girl that I can give it to! 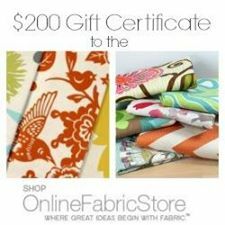 Thank you for hosting a great party and giveaway Donna! My favorite gift had to be the year my Grandfather converted space in his work shed to allow me the room to create and play. I made lots of mud pies in there and decorated my little play house with neighborhood yard sale finds. Pure bliss! My favorite present was always anything to do with art…sketch paper, paints! My favourite toy as a child were my stuffed animals and dolls. I loved to bake from a very young age. The year that my grandmother (who taught me most of my baking skills) passed away, my mother gave me her rolling pin for Christmas. It’s very special to me and I still use it. Although I love all the Miss Mustard Seed milk paint colors, my favorites are two new ones–Trophy and Curio. Thank you! Great giveaway, Donna! Not sure I have a favourite but one would be my Pendalart, it was a swinging base with a paper on it and a magic marker pointing down on top. You push the base (like a pendulum) and the pen would make designs as the base swung back and forth. Anyone remember this? Would love to try milk paint. I don’t remember a toy that stands out, but I know that me and my siblings used to get new pj’s that were quite memorable. The girls would get a cotton ruffly nightgown with sometimes a matching night hat. The boys would get a new red union suit. They made for some adorable photos. What a great giveaway! I love the colors of MMS Milk Paint! 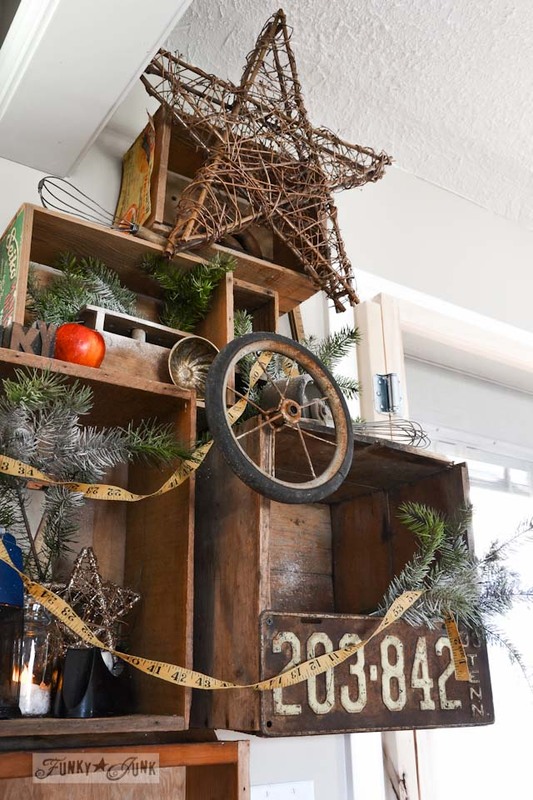 Thanks for sharing all of your cool Christmas projects with us! I LOVE this blog! You have really inspired me. I have the particular blessing of inheriting most of our antique furniture so I don’t need those things. But I am going to do a few of the repurposed items for others in my family. I just might find a place at my house for one or two items! Anyway, the gift I remember the best is a ring my mother gave me when I was 16. It has a tiny diamond in it. She said she wanted to be the first person to give me a diamond. It now belongs to our oldest daughter. I gave it to her on Christmas Day when she was 16. Hopefully she will have a daughter to pass it on to for Christmas of her 16th year! I would love to win this giveaway… My barbies….. I got one of those dolls that you feed and then it pees. Loved it! My favorite present was a tape recorder I had wanted and knew my parents didn’t think I needed it. I was so surprised and still remember my excitement when I opened it…after 40+ years. I got a Chatty Cathy doll that my mom had made dresses that matched mine. We were quite a pair! I think my favorite toy was the little Fisherprice toys, I would play for hours, making up stories. My day made me little house for them out of scrap wood, and I would use any little thing, pop bottle caps etc for accessories! My favorite toy was an old tape recorder with cassettes I could stop and start that thing over and over to write down and memorize songs (this was the 70s). Love your blog and everything you do. I have been dying to try milk paint! i love all of your neat ideas. i would to win this prize as i have not tried Milk paint . thank you. my favorite was a big pink barbie house and jeep! I would love to win so I can finally try using milk paint. I have heard so much about it and want to try it. The best gift I received as a child was my first bike, a 2 wheeler with training wheels!! Thank you for this great giveaway. I can’t wait to try her milk paints. My favorite Christmas was my Madame Alexander doll from Santa that I have now given to my daughter. She still has her original wig and rubber bands even though we both played with her quite a bit. I have 3 chairs that someone was going to throw away and the milk paint would be wonderful for them. My fave toy was anything Barbie. I was obsessed! LOVE joining in with Party Junk. Have a great week Donna. Can’t believe that you are hosting a MMS Giveaway! Happy Dance. My best ever Christmas Present – my first bike when I was ten – rode it until I was 18. My favorite was an upholstered rocking chair. Mine was brown (the color of my eyes), and my blue-eyed sister got one to match her eyes too. my fav toy was my american girl doll! I loved all my Barbie’s and her stuff. I had the airplane and her townhouse. My Aunt also made the coolest outfits for her. My favorite Christmas present was a Chatty Cathy doll. I have always wanted to use milk paint. It makes beautiful furniture! Thanks for hosting the party, have a great weekend. Madame Alexander Pussycat baby doll. I loved her nearly to death. My favorite toy as a child were my brothers trucks and cars. I especially liked the Grader, I was the road builder. I made the best roads to drive our toys trucks and cars on. I was most certainly a tom boy! I’d love to try milk paint! I loved getting paint-by-number canvases. My favorite present was my first Cabbage Patch Doll. I received a knitting machine that I thought was the best – and an Easy Bake Oven!!! I was in heaven!!! I really enjoy reading all of your posts and drooling over your creations!! You are an amazing woman – thank you so much for sharing with us all – we are much richer as a result!! I’ve not tried the milk paint before either – hopefully this will happen soon!! Thanks for the chance at the win!! What was your favourite toy/present as a child? My favorite toy/ present was my first “big kid” bike with no training wheels! I really liked my latchhooks. They were so fun and creative to me at such a young age. I collected Madame Alexander dolls and got so excited when I got a new one! I got a new Breyer Horse every year for Christmas, I’m saving them for my grandson when he is old enough. My favorite gift as a child….would have to be Barbies and clothes. The Timey-Tell Doll ! …and my lil’ play kitchen!! Nothing like the plastic ones they sell now. My mom still has mine…hand painted & made out of plywood! I’ve read about milk paint and now am extremely interested. Judging from other comments I am supposed to say what my favorite present ever was. I think the guitar my husband bought me. It was a total surprise! My favorite Christmas Gift was a stuffed alligator my mom gave my sister and I for Christmas. We used to jump from bed to bed and pretend they were going to get us! The best present for me was when I got my first pair of hose. I thought I was so grown up and I shaved my legs for the first time and had cuts all over them! Thank you MMS for this contest. I follow your blog and know I will love your paint. I don’t remember something I received as much as one thing I gave. When I was four I bought my dad a pair of slippers that looked like moose. He still wears them every Christmas to this day…25 years later. He is also the one who encourages me the most in my diy endeavors. Dolls! I loved my dolls!! A small electric organ/keyboard. I remember playing Home on the Range for some reason. Not sure why that song sticks in my mind. i think every gift i received as a child was my favorite, we had 5 kids so we were appreciative of every gift we received. would love to win the paint! I’m so excited! I have seen milk paint in many decades! Favorite gift was the arrival of our twin cousins on Dec the year my twin sister and I were 6. There was one baby for each of us! My Holly Hobby doll! I would love to try out MMS milk paint. I’m a big fan! Bicycle! I read MMS blog every day. Thanks! I adored the dollhouse my father loving built for me. I love that you can mix up only what you need. I loved receiving Barbies and LEGOs!!! A trampoline. Would love to try milk paint! It would definitely have to be the beauty parlor doll. She came with her own beauty parlor chair that I sat in instead of the doll! 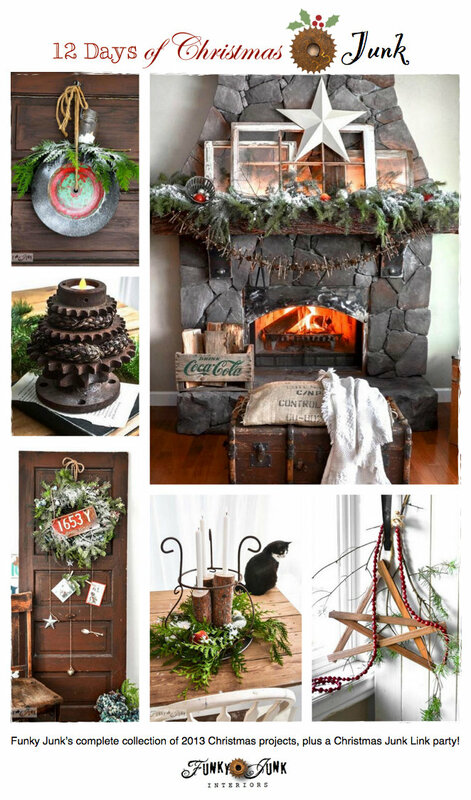 What wonderful Christmas decorating ideas! My favorite toy was my bike! The teddy bear ( and perfume) my boyfriend ( now husband!) gave me for our first Christmas together!He picked one out with blue eyes just like him–not an easy task! 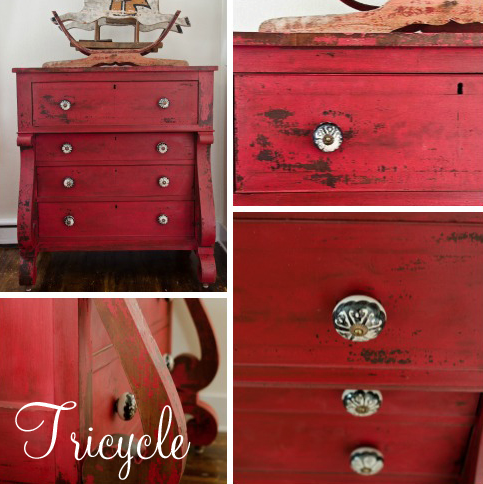 Would love to try milk paint..thanks for the entry! My favorite toy was a bike. It was used but that didn’t matter. I had a sense of freedom I had not had before. My barbies.. My grandmother knitted all our Barbie clothes one Christmas. I have kept two pieces in a safe place. My favorite Christmas Gift is my First Panda Bear stuffed animal. I still have it. All the love we shared shows proudly, by the worn off fur, and missing eye. I just tried MMS Milk Paint for the first time and I love it! I love to look at your link parties. Thank you. My fave present was a doll with a beautiful white wedding dress and blonde hair I could style. I still have her and she brings back fond memories of my Grandma who bought her for me. What an exciting party! You did awesome with your 12 day challenge, my favorites were the stacked gear tree lights and the metal washer garland, love them! My favorite was a Barbie Townhouse. My best Christmas present ever was a Barbie dream house me and my sisters got. I loved my pink Huffy bike! I want to try that paint so bad! Thanks for this awesome chance in the giveaway and also thank you for hosting a wonderful party. It was fun to join in. My favorite present as a kid, well the one I wanted more than anything in the whole world and was was completely shocked when I got it – an American Girl Doll! I had Samantha and I loved her! I still have her and will give her to my daughter in a few years. Thanks for the awesome giveaway!! 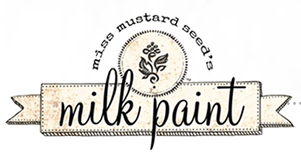 I’ve been reading about Miss Mustard Seed’s Milk paint for quite some time and oooohing and aaaaaahing over many projects that have utilized the paint…I would love to get my hands on some of it! My favourite toy as a child was my Bionic Woman action figure and her lab. She had panels on her arm and leg that you could open to view the bionic parts. Man, she was cool! If not for a terrible house fire that burned our entire house to the ground, I probably would still have her. Thank you for the very cool giveaway; I really enjoy reading your blog and oooohing and aaaaaahing over your projects, too! If only I could be so creative! I look forward to reading much more from you! I was blonde; my sister was brunette … The best Christmas present we got were wigs! I got a brunette wig, and my sister got a blonde wig! We were 3 and 6, and we played with those wigs for years!!! My favorite toy was a Raggedy Ann Doll. My favorite Christmas present when I was a kid was a huge cardboard box. I don’t remember what the “real” present was, but my brother and I played that box to death! I don’t understand how this Raffle-copter thing works. I followed the directions on it but it would not let me answer the question from there. By commenting here will I be entered????? Confusing. Favorite toy was a baby doll I named Roseie! My favorite were the dolls, from Chatty Cathy, Tiny Tears to Barbie, Midge, Ken & Skipper. Loved them all. Thanks for the chance to win MMS paints, haven’t tried them yet, but am looking forward to trying them. A Barbie doll fashion model runway – I thought it was the greatest thing ever! My favorite was anything Barbie. One year my oldest sister (who was 13 yrs older) and her husband made me a custom Barbie home. It was so special to me, I’ll never forget it. As a child, my favorite present was a little sewing machine. I wanted it for months and was bowled over that Santa actually got it for me. I think my crafting craziness started then. What awesome inspiration here! Thank you for the party Donna. I have been wanting to try MMS paint for some time. She does such great work. Have a merry Christmas! My favorite toy was a Barbie… the one with the changeable wigs! Favorite toy as a child — hmmm, I don’t remember the toys as much as I remember loving books. The wooden doll house from my Aunt. She always gave me the best gifts. My big wheel was awesome!! I love, love, love, your decorations!! And I love all the furniture makeovers! So rustic and country—my fave!! So many ideas I don’t know which I want to do first!! My gosh I didnt know such beautiful work could be done with old furniture!! Wow Id love to get into this hobby, thank you for the opportunity! I didn’t have much toys as a child but I remember getting a mini play kitchen about 12 inches high and I actually made furniture out of cardboard boxes to add to the kitchen. My favourite childhood Christmas gift was a copy of the book the Wizard of Oz. I loved reading, and still do. Suzy Smart doll that talked. My first cabbage patch doll. From Santa. I’ve never tried MMS Milk Paint either, Donna and I’d love to! My favorite toy was my Sunshine Family set of dolls – wish I still had them! Great giveaway! Hmmm…as a child, I loved my American Girl doll, Kirsten. Still have her, and can hopefully pass her on to my future children someday. Thanks for the walk down memory lane. Oh, best gift ever was the play-house that my dad, who really couldn’t build things….built for me!!! Crooked windows and a door that didn’t close! But, much used and loved!! Thank You so much for the chance to win MMS goodies!!! The year I got a bike…..it was the year my Dad’s company was on strike for many months and money was tight. We received welfare food and there wasn’t much in the way of extra’s to be had. But Mom and Dad still managed to provide a special Christmas for all 5 kids. The bikes were second hand and had been painted and reassembled so they’d look pretty new. I was old enough, maybe 10-12?, to understand how much it meant to make sure that we still had our Christmas. I think that was one of the best we ever had! Definitely, my pink and white Schwinn bike. Wish I still had it! 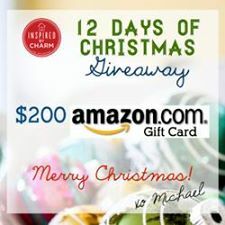 Great giveaway — my fingers are crossed! 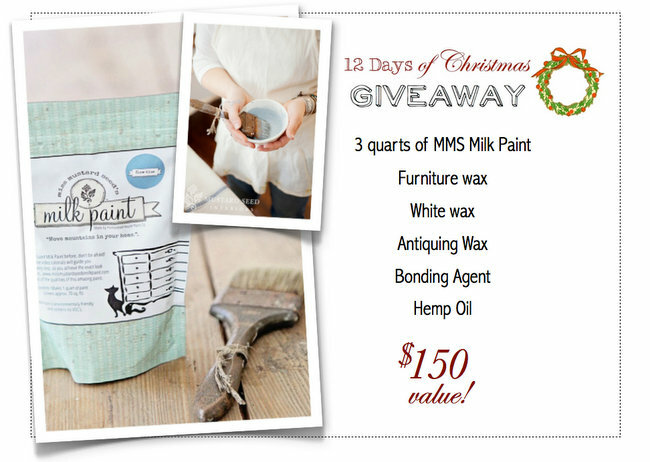 Thanks for hosting and for the awesome giveaway opportunity Donna- I would LOVE to try milk paint!! Oh and I think my favourite childhood gift was my cabbage patch doll at 3 years old. I still remember it vividly. My grandparents gave me Little Women with $100 in small bills in the pages. So memorable! AND I loved the book. I loved dolls. Suzy Smart and Betty Beauty Parlor were two of my favorites. I always enjoyed the jacks I got in my stocking every year. The jack in the box – up popped Casper the friendly ghost. In later years I loved watching my kids play with it at Grandma’s house. I have just the piece for some milk paint love. Got my fingers crossed. Thanks! I was so excited to receive my roller blades around the age of 9! I loved my art set with colored pencils and thick paper – not that I became an artist or anything, but I dreamed! The most exciting gift that i received as a child was a pair of roller blades around the age of 9! My favorite childhood Christmas gift was a new saddle for my pony!!! My favorite gifts were the various deer toys, figurines etc that my mom (Santa) got me every year. I was crazy about deer, and so my mom gave me a deer of some kind every year… occasionally she still does, and I’m 55 now! 😉 I also loved those gold foil covered coins in a mesh or cotton bag that were in the stocking every year. I got a beautiful green dress when I was in second grad from Sears. I can still see it; tall white collar, long sleeves. Thanks for hosting such a fun party Donna! A set of doll furniture in white plastic. Thanks for the give away! My favorite present was a ring my father gave me that matches my sister’s and my mother’s (of course, her’s had a bigger setting). I was big on Barbie when I was a kid and I remember the Christmas I was 7 getting all of the dolls, outfits and accesories that I picked out of the sears wishbook and wondering how Santa knew. Thanks for a great giveaway! Love what you have done in your 12 days. Where do you find all your junk? You end up with some cool pieces. Thanks for the chance to be able to try out her milk paint. Favorite gift as a child was a doll that stood about 3ft. tall, I named her Freckles.